Designers such as Chanel and Elie Saab have been getting lots of love for their Autumn/ Winter 2013/2014 collections so I decided to write about a designer who I personally love but is not as well known as some larger fashion houses. 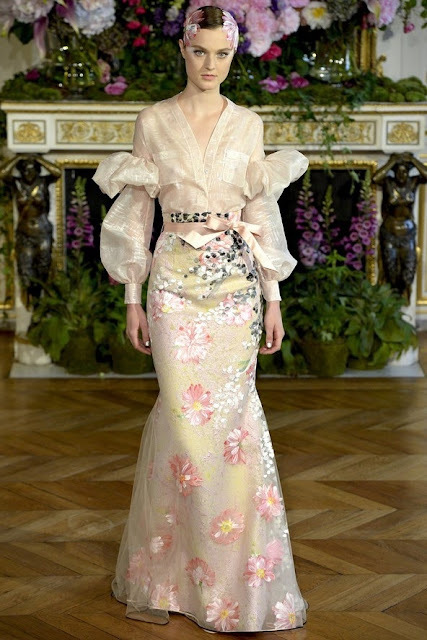 Alexis Mabille is a French designer who studied at Chambre Syndicale de la Couture Pariesienne and then worked at Dior where then-creative director, John Galliano, noticed his talent. Since then Mabille launched his own namesake label in 2005 and showed at Paris Haute Couture Fashion Week for the first time in 2008. 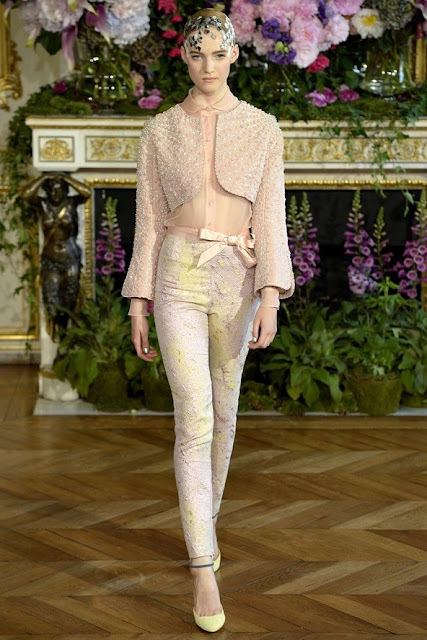 His Fall Couture show was inspired by the 19th century, it was romantic and ethereal, feminine and poised. The extravagant designs are coated in pearls, lace and ribbons- everything a girl loves! Mabille constantly changes the silhouettes, using billowing silks to define curves and give shape.